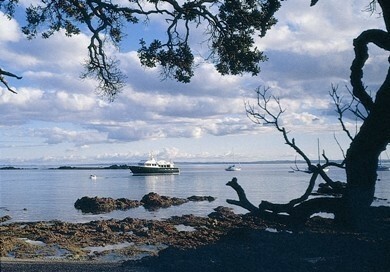 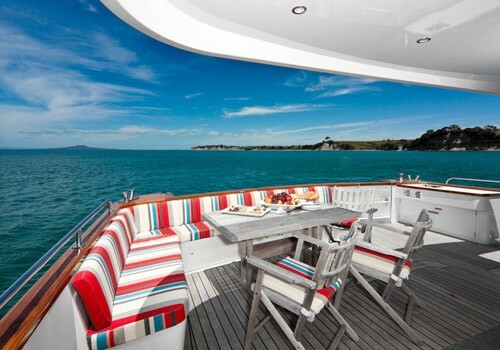 Motor yacht "Escapade" is a displacement trawler-style luxury motor yacht which based in New Zealand and the South Pacific. 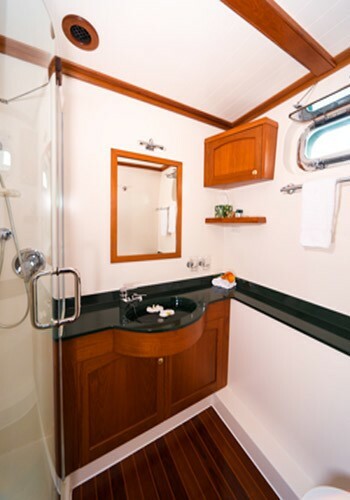 The motor yacht has been luxuriously appointed to ensure even a long distance charter has every possible level of comfort. 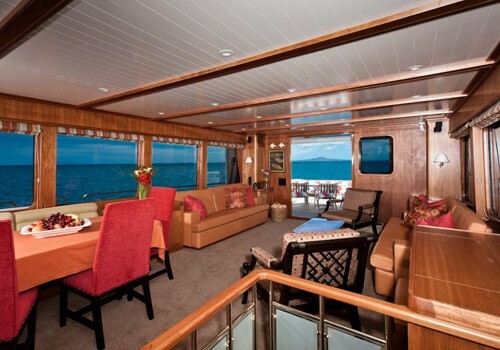 Escapade has been especially designed to undertake long voyage blue-water cruising charters and exploration in the waters of the South Pacific and New Zealand. 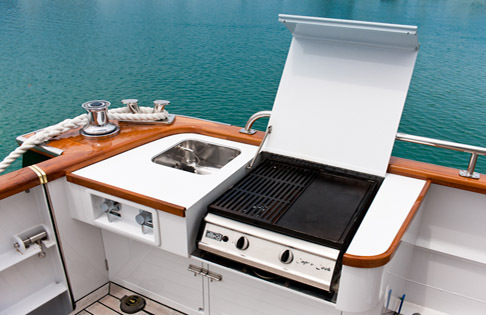 The cuisine on a motor yacht charter on board "Escapade" is generous and wholesome and features an emphasis on fresh local ingredients and flavours. 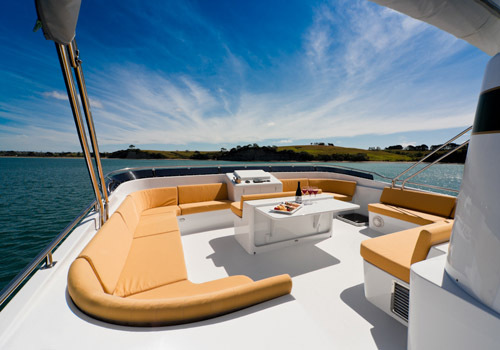 Escapade features plenty of modern entertainment amenities. 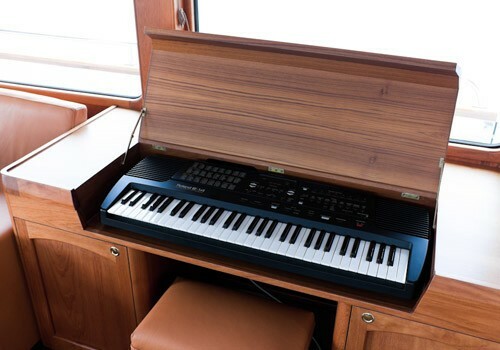 She offers television, stereo, video, as well as a electronic piano. 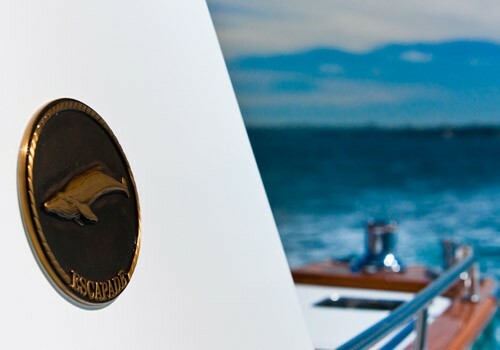 Escapade also boasts some of the most sophisticated technological navigational and communications systems available to ensure the highest safety precautions are maintained at all times aboard this seaworthy vessel. 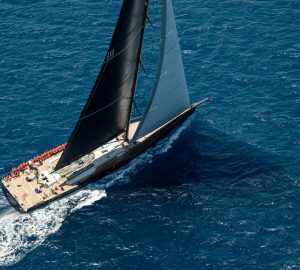 Her crew are friendly, extremely experienced and very capable and have been trained to provide a high level of hands-on service. 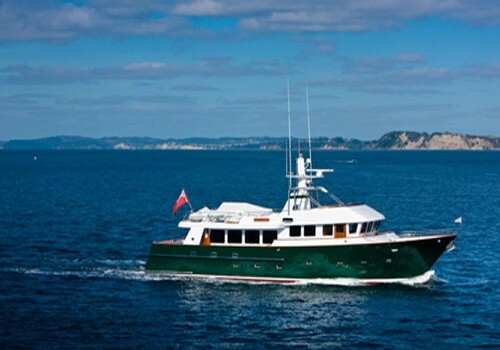 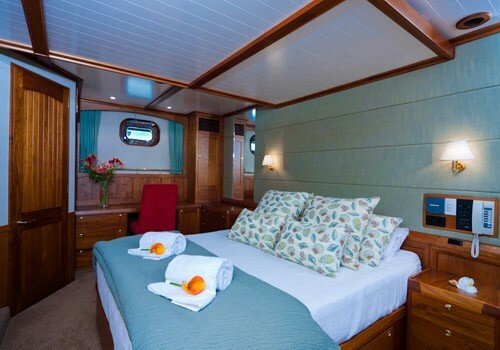 The motor yacht Escapade offers up to 4 staterooms which provide a high level of comfort. 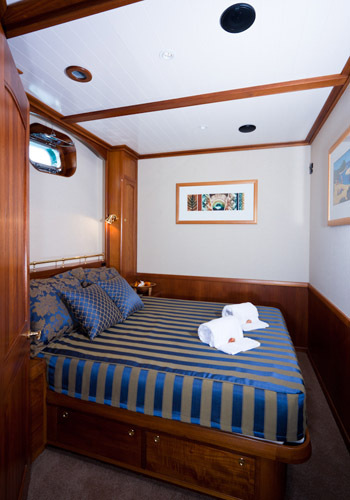 There is a large master stateroom and a further two guest staterooms all with beautifully detailed ensuite facilities. 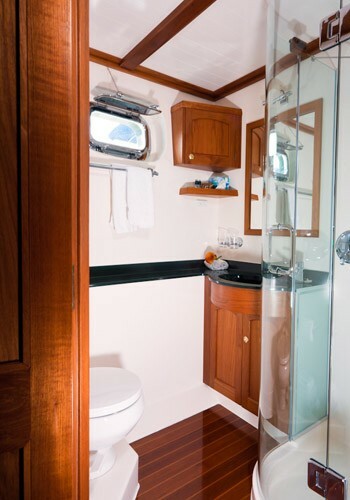 A further forward triple-berth cabin is also available, should additional accommodation be required on the charter. 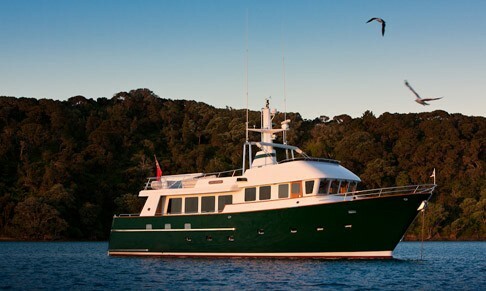 Escapade's charter amenities and extras details are listed below: Construction Material: Steel Hull, ­ Composite Superstructure, Fuel Capacity: 14,000 litres, Water Capacity: 3,000 litres, Generators: Northern Lights, Watermaker: Sea Recovery, Stabilisers: Naiad, Air Conditioning: Cruisair, Liferaft: 2 x 6 man, Range: 4000 nautical miles, Class: Bureau Veritas. 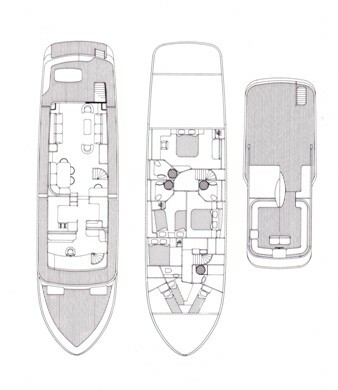 Electronics: Autopilot Comnav GPS JRC Depth Sounder JRC Radar JRC Weatherfax P.C. 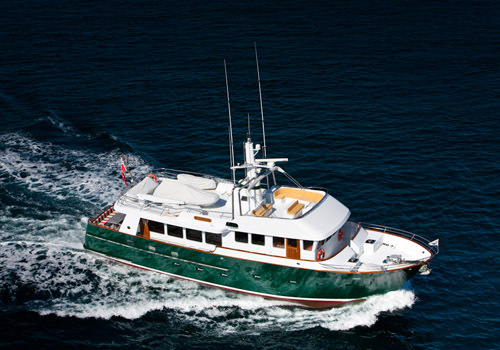 Computer Software Maxsea Communications: Direct dial satellite telephone cellphone facsimile Internet and Email VHF and SSB radios LEISURE: 3.8m tender (40 hp), 2.8m tender (5hp), 4 kayaks, 2 windsurfers, dive/snorkelling equipment, dive compressor, fishing tackle, television, video, stereo, electronic piano, waterskis and kneeboard.